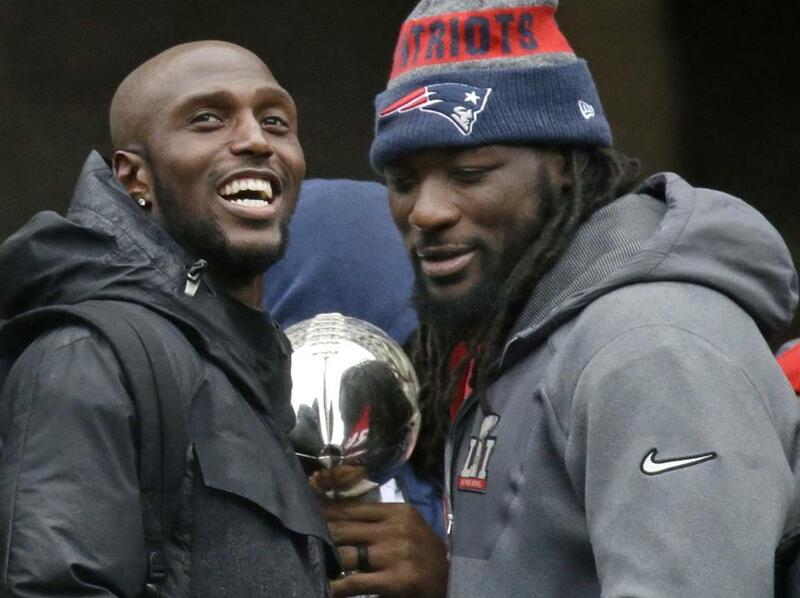 Devin McCourty (left) and LeGarrette Blount (right) are among several Patriots who have said they won’t be joining the team during its visit with President Trump. As we all know by now, when the Patriots visit President Donald Trump at the White House Wednesday, a few of the Super Bowl champs won’t be there. In a new video posted by a left-leaning entity called Green Stripe News, Devin McCourty and Chris Long explain their decision to skip the customary confab with the Republican commander in chief.